One Piece Roronoa Zoro Action Figure with Wanted Poster. Condition is New. Dispatched with Royal Mail 2nd Class Large Letter. Best gift for you and your friends. Great for collection and decoration. Size:length: 28.5(cm) x 19.5(cm). This uniqueness makes your print a truly "one of a kind" original. RORONOA ZORO. WANTED DEAD OR ALIVE. One Piece Boa Handcock Wanted Key Chain. Puella Magi Madoka Magica Madoka Mascot Key Chain School Uniform. Dragonball Z SS Goku Key Chain. K-On Logo Guitar Pick Key Chain. iDOLMaSTER Mascot Key Chain Haruka Amami. One Piece Chopper Wanted Key Chain. Size: 33" W x 44" H.
WANTED DEAD OR ALIVE. In nearly crush proof tubes for maximum protection! One Piece Crocodile Wanted Key Chain. One Piece Whitebeard Wanted Key Chain. Puella Magi Madoka Magica Madoka Mascot Key Chain School Uniform. Dragonball Z SS Goku Key Chain. K-On Logo Guitar Pick Key Chain. iDOLMaSTER Mascot Key Chain Haruka Amami. One Piece Luffy Wanted Key Chain. Puella Magi Madoka Magica Madoka Mascot Key Chain School Uniform. Dragonball Z SS Goku Key Chain. K-On Logo Guitar Pick Key Chain. iDOLMaSTER Mascot Key Chain Haruka Amami. One Piece Sanji Drawing Wanted Key Chain. You'll "treasure" this cool One Piece travel mug featuring the leader of the Straw Hat Pirates! The mug has a pop-off lid with a snap opening and an interior that twists off for removal. Hand wash only, do not put in dishwasher or microwave. New. Factory sealed. Feel free to msg if you have any questions. FREE SHIPPING! [ Country of Manufacture ]. We are treating new item, but there is possibility that item has tears, dents, dirts. We do our best for you!! the manufacturer will change contents, date and quantity for sale. Chopper is SOOOOOOOOOO CUTE eating cotton candy, the cutest form of chopper! All Chopper fans, don't miss his cutest pose!! Category: Toy. Part Number: na, NA. Product Details. The pendant is fantastically detailed and has a nice weight to it. Includes the "wanted" characters: Luffy, zoro, naming, sogeking, sanji, chopper, Robin, franky, brook. 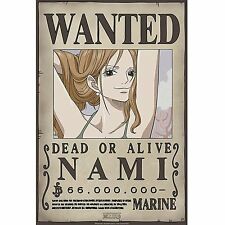 Includes The "Wanted" Characters : Luffy, Zoro, Nami, Sogeking, Sanji, Chopper, Robin, Franky, Brook. 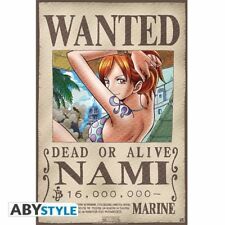 Includes The "Wanted" Characters : Luffy, Zoro, Nami, Sogeking, Sanji, Chopper, Robin, Franky, Brook. 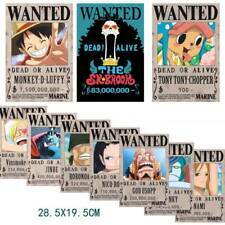 Includes the "wanted" characters: Luffy, zoro, naming, sogeking, sanji, chopper, Robin, franky, brook. Material:Kraft,Non-Sticky (no peritoneum, not waterproof). Colour:As The Picture. United States. United Kingdom. Other Countries. Item arrived Rate. 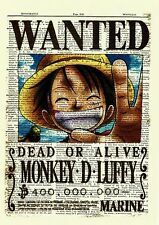 Description New ONE PIECE Monkey D Luffy wanted Reward wall print poster Anime Room Decor Wall Paper 51.5*36cm Feature: Material:Kraft paper(no peritoneum, not waterproof) Size:About 51.5X36cm(About 5 mm left and right error) Colour:As The Picture Process:Printing Package List: 1 * Decoration painting(Not sticky,No border) [xlmodel]-[photo]- Pictures. [xlmodel]-[photo]- Description Large Size Vintage Paper Retro Anime Poster Wanted One Piece Poster Reward That I Brook Poster Home Decor Wall Sticker Feature: Material:Kraft (no peritoneum, not waterproof) Size:About 51.5*36cm (About 5 mm left and right error) Colour:As The Picture Process:Printing Package List:1 * Decoration painting (Not sticky,No border) [xlmodel]-[photo]- Pictures. “I have no pity for criminals, but family is a different story” - Monkey D. Garp. Size: About 51 35.5cm. Material: Paper. 16 pics include: Straw Hat Team, Shanks, Ace, Roger, Whitebeard, Hawk-Eye Mihawk. It says it all. HIGH QUALITY. We stand behind our products.